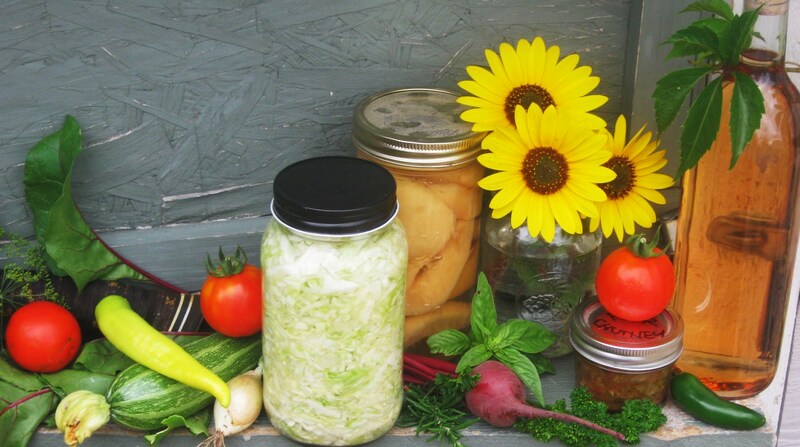 On our small, suburban, HOA (Home Owner Association) controlled homestead we are always seeking to expand our gardening obsessions by staking out new gardening territory – our front yard. Our HOA Codes state: Gardens in the front yard are Not permitted (silly rule). To successfully keep our front yard garden hidden we simply went incognito. We integrated our veggies to fit in with the rest of the surrounding landscape. Along the edges we cut out the water-thirsty grass. The sod pieces were piled upside down and topped with rich compost and garden soil to build berms. The decomposing sod retains water, adds nutrients to the soil and saves on our soil needs. We planted annual flowers, small shrubs and rose bushes on the berms offering medium plant height. Mulch was added and vegetables were planted. In the fringes we planted groupings of onions, swiss chard, lettuce, spinach and carrots. Both summer and winter squash were planted as groundcover to cover the berms. 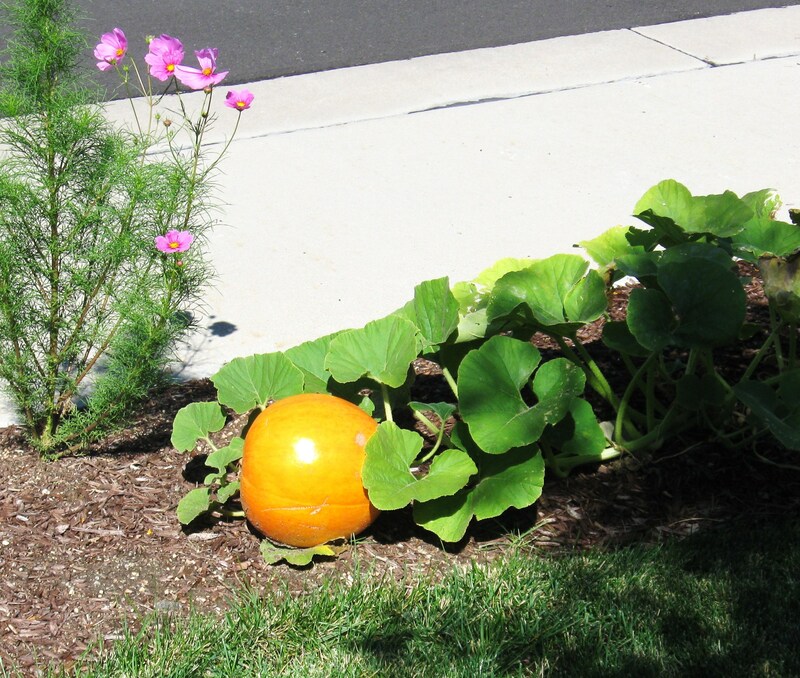 The neighborhood kids loved watching our curb-side pumpkins grow bigger each day. Decorative vegetable landscaping can be a baby step to increasing your garden harvest. Dare to Grow in a HOA patrolled community! It is nice that nobody has objected to your vegetables. Continued luck! I believe most of the neighbors disagree with alot of the silly HOA rules for our neighborhood. Thank you for sharing! Way to stand up to those ridiculous HOA rules! Most vegetable plants show really beautiful flowers before they fruit, so if you are creative on how you intersperse them into your other plants, I don’t see the problem. Well said – Thank you for sharing! GO GO GO! I wish most of my neighbors disagreed with our silly HOA rules… I’ve been thinking of doing the same. Hmmmm….. where to be sneaky…..
Little Sis – I’m liking your mindset!